Home » Articles » 178. Whoopee, a Cup of Tea! ← 177. Special Abilities: They’re in Your DNA! What can you still drink nowadays? Soda contains so much sugar that your pancreas really is not happy about it. Nor is it good for your blood, intestines or skin, by the way. Sport drinks for non-athletes mess up blood glucose levels and cause fatigue. Alcohol causes your brain cells to die, ten thousand at a time. Not good. And your liver can’t cope with fruit juices. Your liver turns fructose directly into fats (see Professor Lustig’s lecture on YouTube, “The Bitter Truth”). What remains that you can drink? A nice cup of coffee. Delicious! I love to start the day with one. And that’s all the coffee I drink. And you? But there’s more! Besides the cup of coffee, we’ve got two more beverages: water and tea. Water is wonderful to drink and healthy as well. Your body is made up of 60% water. If you don’t drink water, your body dehydrates. It’s that simple. And a dehydrated body causes all kinds of problems. You can bank on that. Read Dr. Batmanghelidj’s book, “Water, the Cheapest Medicine” and from now on you will take water with you everywhere you go. But… drinking water is so cold in the winter and a cup of tea is so nice! Just a calm moment. Toasty hands. A warm feeling on the inside. A cup of tea is comforting. More and more young people drink tea. Last year I met Michael Niklaus, 31 years old. He stopped drinking alcohol and now organizes tea workshops and tea parties in Flanders (Belgium) for young people who want to stay away from alcohol. They are really fun parties! Not all tea is healthy. Black tea can increase stomach acid because of the tannic acid it contains. A bit of milk solves that. Also a handy way to prevent getting tartar on your teeth from black tea! If you drink herbal tea, it’s not a good idea to drink the same one for days at a time, so vary teas. If you don’t drink organic tea, you are also drinking pesticides with your tea. A shame! It’s preferable to drink organic tea. You don’t drink any pesticides and the people on the tea plantations don’t have to get themselves covered by them! I always order my organic tea from a Dutch company, Biothee.nl. My favorite flavors are “Children’s Rose Hip Tea” and “Chinese Nights”, a combination of jasmine, rose petals and orange peels. Both are so delicious! 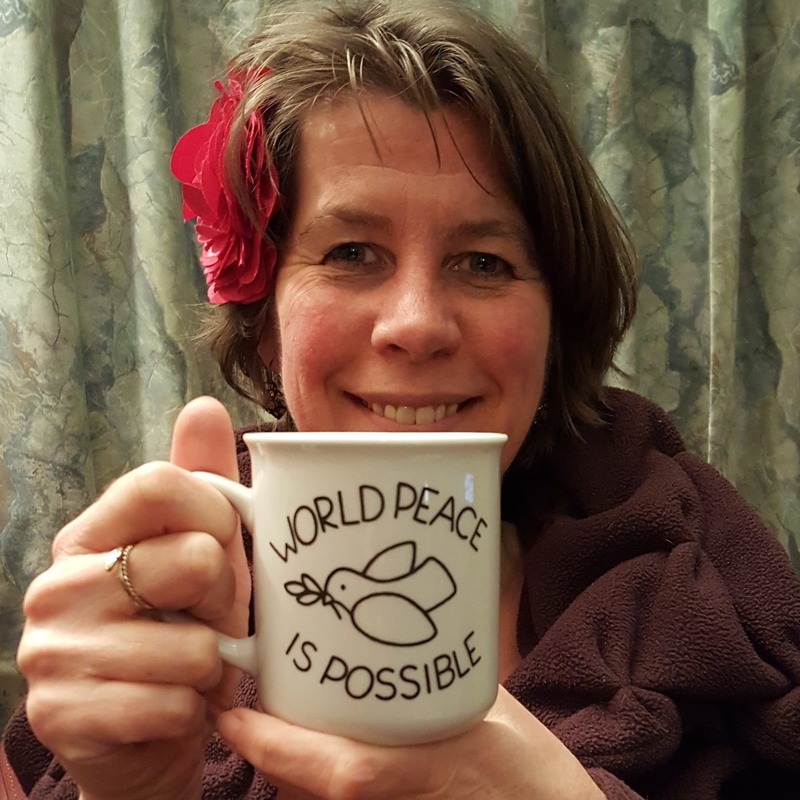 I started posting a daily “Whoopee, Cup of Tea!” (Dutch) on Facebook with a song. I hope to inspire people to drink tea but also to get them away from Facebook. Facebook can be inspiring and fun but it also can take up a lot of your time without you realizing it. Facebook is also watching you. If you don’t log out, Facebook follows which websites you go to. They adjust the advertisements you see to this. If you were looking for new shoes or a car on the Internet, all of sudden you get advertisements about dresses or cars on Facebook. And this is relatively innocent. The creators of Facebook know almost everything about you. Almost nothing is secret. Is that really what you want? People who love Facebook and spend hours on it could benefit from a cup of tea. If they see it on your timeline because you post “Whoopee, a cup of tea!” on it, there’s a chance they’ll begin to think, “That’s a good idea. I’ll make some as well”, which will get them away from the computer. They can tear themselves away from the computer. We know that it is magnetic but how do you pull yourself away from its attraction? By making a cup of tea, looking outside and deciding that maybe you want to do something else with your day. I’d love to create a movement on Facebook, involving hundreds, maybe even thousands of people who inspire others to drink a healthy beverage and get away from the computer! Are you in? Do you have any more ideas? I’d love to hear about them from you! Please write below. Thank you! Cheers, a toast to your health! Thank you! I appreciate the reminder to enjoy a cup of tea. 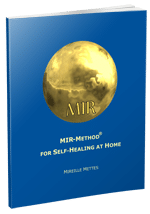 Still using the MIR Method with clients and for myself. Hi Mireille. A lecture about water. Prof Pollack tells, we are 99% water, if we counts the molecules and not weight %. What is life-lecture: Gerald H. Pollack. Thank you so much, it is very interesting! I watched the first 3 minutes and am hooked. Will surely look at the rest of the video. Hope many MIRrors will!